The Honorable Prime Minister Holness steps up to show these amateurs how it’s done. Strategic Review of Petrojam in effect. Speaking to Petrojam staff during a visit to the entity’s location at Marcus Garvey Drive, Kingston, on July 13, Mr. Holness said the review is among several interventions by the Government that are designed to ensure that the institution remains viable, thereby safeguarding jobs and Jamaica’s energy security. 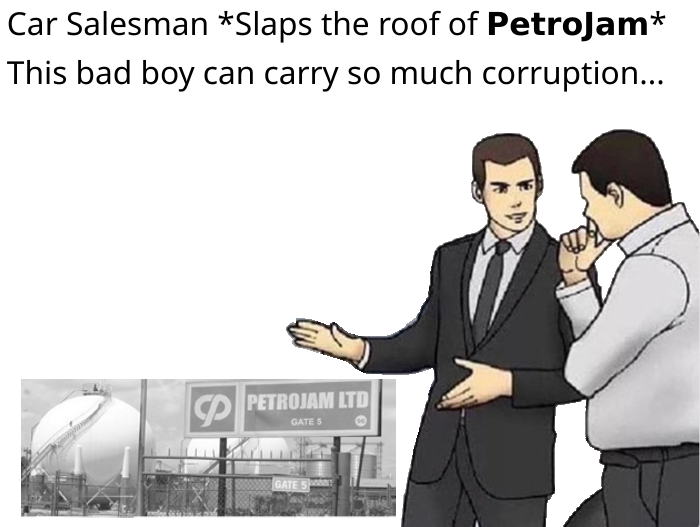 Petrojam, corruption, a google search and a Timeline to boot.